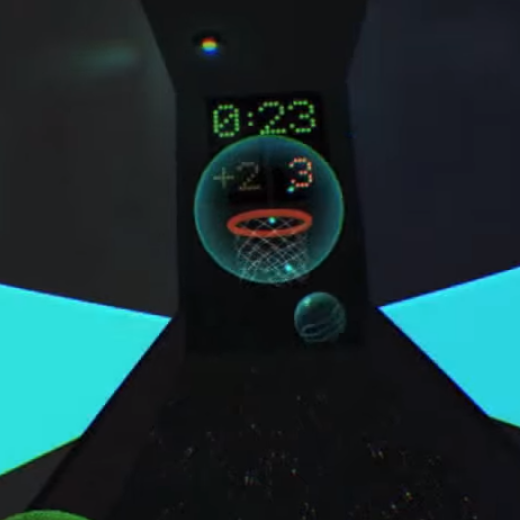 Arcade-style basketball hoops game using Leap Motion and Oculus Rift. 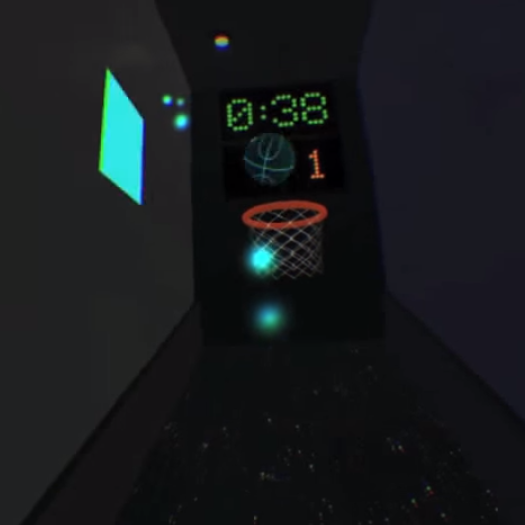 An arcade-style virtual reality basketball hoops game. Very cool experience. 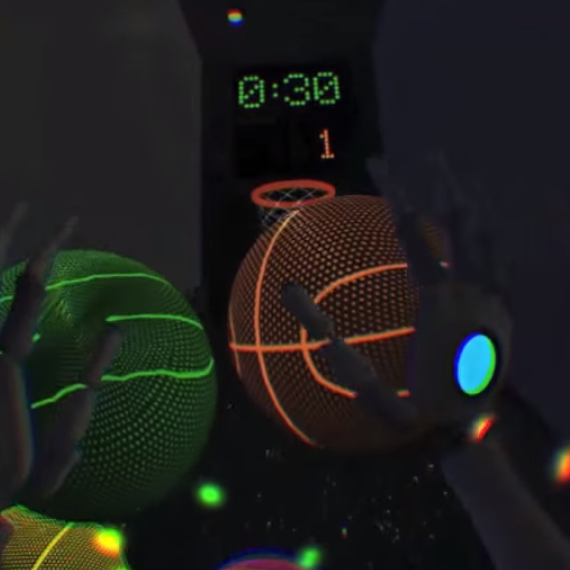 I love how the walls react to the basketballs with color and sound, and the interactions are extremely intuitive. 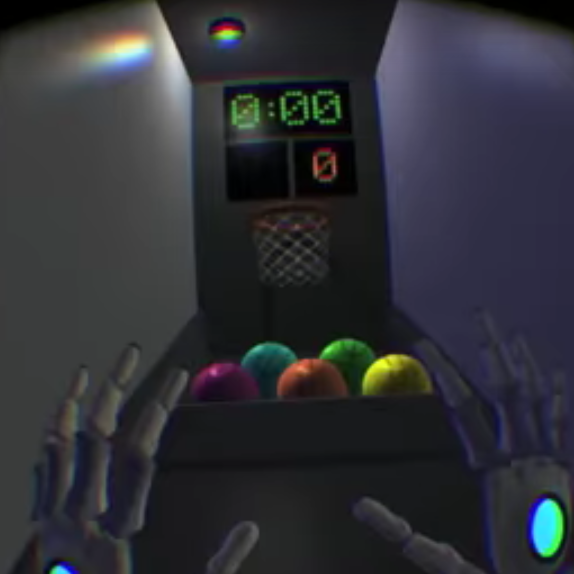 The material on the surface of the ball was really neat too. It was a bit difficult to make baskets, but that can be a good thing depending on who you ask. Really nicely done! 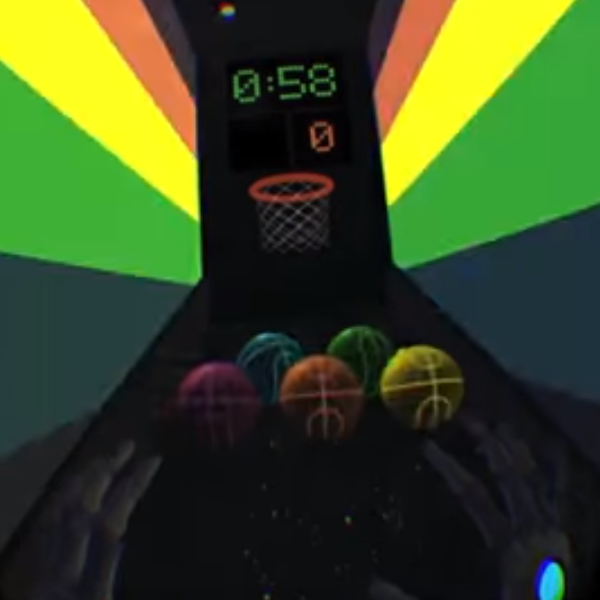 This was just like being at Dave and Buster's... if D&B was in space and awesome!